The Key Guy also repairs car ignitions and services all lockable parts of most any car, truck, van, or motorcycle. If someone attempted to force entry on your door or trunk, call us and we can repair or replace the lock. We can also re-key your vehicle's doors and ignition. Lost your keys? Can't find the spare? Don't pay to have your vehicle towed! 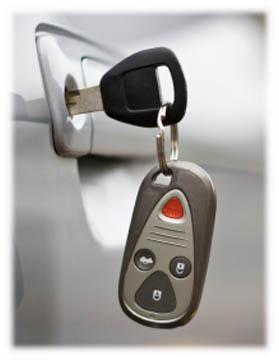 Our locksmiths will drive to your vehicle, and generate a key to fit your existing lock. When you call Key Guy Mobile Locksmith: Kakaako, you are trusting us with your security. Your trust is of the utmost value to our family, and we promise to provide the most honest, reliable service we can. Reach us at 548-1999. Service keyless entry (e.g. electronic keypad) systems? Key Guy Mobile Locksmith: Kakaako and all The Key Guy affiliates are kama'aina companies located in Honolulu, Hawaii . Please support local businesses.